Scott and White Health Plan is an insurance provider that is based in Texas. Currently, this insurance company only extends coverage to a select group of consumers that live in the Central Texas area. Scott and White Health Plan only a few participating health care facilities and doctors that are within its network. Find health insurance rates right now by typing your zip code in the box provided! 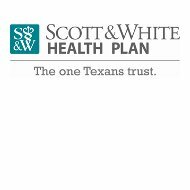 Scott and White Health Plan insurance coverage is available to individuals and employers in Central Texas. The Scott and White Health Plan website detailed information covering the counties and cities in which customers can find health care providers. Although coverage areas are limited, there are many different health insurance plans that can be purchased. Employers have a broader range of products to choose from, while individual consumers have the ability to buy low cost health coverage. Traditional medical insurance is offered by Scott and White Health Plan. Customers will need to make sure that they are seen by a physician in Central Texas that accepts Scott and White Health Plan. Scott and White Health Plan was created in 1982 as a division of Scott and White Healthcare. Scott and White Healthcare is a medical center with several locations in the state of Texas. Since then, hundreds of thousands of Texas residents have purchased Scott and White Health Plan insurance. While Scott and White Health Plan has several different business operations centers in Texas, it is headquartered in the city of Temple. In 2010, the company completed construction on a new building in Temple, Texas, to house its employees and better serve its customers. Scott and White Health Plan has 1-800-321-7947 listed as its customer service hotline. There are no hours of operation indicated, but it is assumed that customers can contact Scott and White Health Plan during standard business hours. Currently, Scott and White Health Plan has five locations in Central Texas. On the company website, visitors are sent to the web portal for Scott and White Healthcare. Because Scott and White Health Plan is a subsidiary, it seems that the parent company focuses on hiring individuals that have experience in the health care industry. Interested parties are required to fill out an application packet online. There is nearly no information available about benefits on the website, however, applicants can look at the new hire packet for more details. Because Scott and White Health Plan is the largest health care provider in Central Texas, customers have mixed feelings about this company. For some consumers, Scott and White Health Plan offers comprehensive insurance at low rates and also allows them to see their preferred providers. However, there have been an increasing number of reports that indicate that Scott and White Health Plan has issues when it comes to dealing with more complex medical issues. Since Scott and White Health Plan is closely associated with the Scott and White Healthcare centers, most of the doctors in their PPO are also associated with the facility. Scott and White Healthcare is a respected hospital in the US, but there are several areas where the medical centers do not have expert doctors. Like most other insurance providers, Scott and White Health Plan gives consumers the ability to compare rates online. In addition, potential customers are also required to submit an application to see if they can get coverage. This is mainly because Scott and White Health Plan only covers Central Texas residents. The company may make exceptions for customers that live in nearby counties. After a request for an insurance quote is made, a Scott and White Health Plan insurance agent will follow up with the applicant. The process can take as little as a few hours to as much as a week. Scott and White Health Plan customers can submit claims by mail only. The proper address for insurance claims is indicated on the Scott and White Health Plan website. After the company is able to investigate the claim thoroughly, the customer will be made aware of their decision through the mail. Find your health insurance quotes by enter your zip code in the box provided now! Scott & White bills exponentially post appointment date! Horrible customer service! This is the only provider that bills excessively after your initial appointment. I have received 5-6 bill statements totaling up to $500 for a biopsy exam when I have insurance. The bills are for different amounts which is totally overwhelming and confusing. I am unsure what the final amount is that I owe and why. When you contact customer service, it is a lengthy process considering it takes probably 20-30 minutes until you actually speak with a representative. I have vowed never to be scammed by this healthcare provider again and also suggest others to do the same. Stay away from Scott & White Healthcare because of poor customer service regarding deceitful billing and excessive billing. I have never felt this cheated, scammed and misled by any other health insurance provider! This insurance is horrible because if you have this plan you are only given minimal treatment. I think an easy analogy of the type of care you receive is to compare to the following; if I had an auto body repair shop and owned an auto insurance company a conflict of interest might become a problem. For example, if a car insured under my insurance plan came into my body shop–would I be tempted to use cheaper parts and labor that would make my profit margin higher for both of my companies? I really believe from my own experience that patients with Scott and White Health plan are treated with minimal services as compared to patients with other insurance. My quality of care over and over has convinced me that since Scott and White are the ONLY hospital in my area I need to change Insurance companies in order to receive fair and adequate treatment from Scott and White. Nikki’s review is absolutely right. We’re getting bills dating several months back which are already past due and they expect us to pay them in full. Customer support from billing to benefits is non-existent, they just give you a runaround. Nothing gets resolved ever and you as a client have no slightest idea on what is covered and what is not. There is no transparency whatsoever. Thank God I have a choice. Horrible, shady, scam, dishonest, most-unethical insurance company. Hold times are ridiculously long 40 to 60 min on some days. Got plan through Obama Care. They raised the premiums after I signed up through plan and change my copays for specialists through BAIT AND SWITCH. I have a Scott & White plan thru my employer. After about 7 months of paying premiums, I broke my wrist and finally needed to actually use the insurance. After a trip to the emergency room, a trip to my family doctor to refer me to an orthopedic surgeon, a trip to the orthopedic doctor to cast my wrist and two follow-ups… oh and 7 months later, Scott & White has paid $0.00. That’s right, not one penny! I’ve spent countless hours on the phone with their customer service department. We’ve conferenced with the medical billing offices trying to resolve this and it looks like my $1000 copay (in or out of network} is a joke. So far, I’ve got bills for $823.00 for the ER doctor, $940.47 for the ER, $83.92 for the radiologist, $55.93 for the wrist brace/sling, and $693.00 for the orthopedic surgeon and bills for the remainder of the doctor visit after the $50.00 copay. So needless to say, they have the money for premiums, and haven’t paid out one red cent. I’d rather pay the federal government the fine for not having insurance than pay these criminals! So mad! Scott & White is a highly respected name in Texas healthcare, as is their new partner, Baylor Health. I selected Scott & White Vital Traditions insurance on the basis of their healthcare reputation. I have to say that it has been a disappointment. Customer service is abysmal. I once held on the phone for an hour and twenty minutes before I got to speak to a minimally trained customer service rep. Most waits have been 20 to 45 minutes. The doctors in their network are exceptional…five stars. However, there are so few of them that you wait 3-4 months for an appointment. They denied a specialty drug prescription that I have been on for 20 years. My PCP had to write two appeal letters, and I wrote another two before they grudgingly approved what every other insurance company before them had approved without question as medically necessary. Lastly, I’ve had three different instances where they did not pay the provider what they were supposed to, and I was back-billed for hundreds of dollars they should have paid. Oh, and I forgot their supplemental dental policy, which is totally worthless. The only two providers they supposedly had in their network both said they didn’t accept their plan. Maybe they will eventually grow into the Scott & White name, but at the moment, their insurance company is a disgrace.